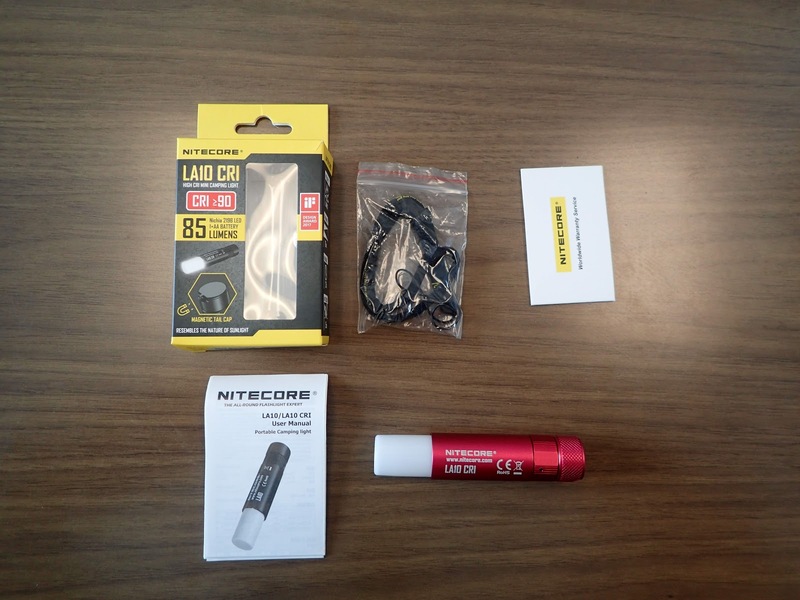 Nitecore sent over a sample of their the LA10 CRI for review. This is a single AA powered lantern, with a diffuser that retracts for use as a flashlight. It's controlled by a twisty switch, and has a magnet in the tail. The "CRI" version I have here uses a 219B, but they also make a version that uses an XP-G2 for a slightly higher output with lower color accuracy. This another light I wanted for the unique form factor that I found to be extremely useful. 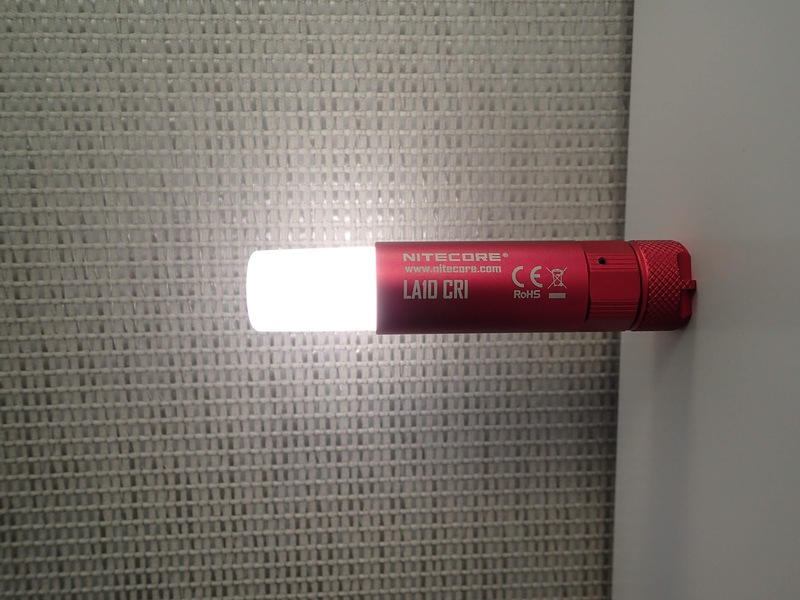 The high CRI beam is very even, making it a great inspection light. Examining a surface at close range, this light takes the place of a COB and works beautifully. The fact that it takes a common cell, doesn't weigh very much, and retracts to protect the diffuser makes it an easy add to my pack on my next back country trip as a very lightweight tent light. 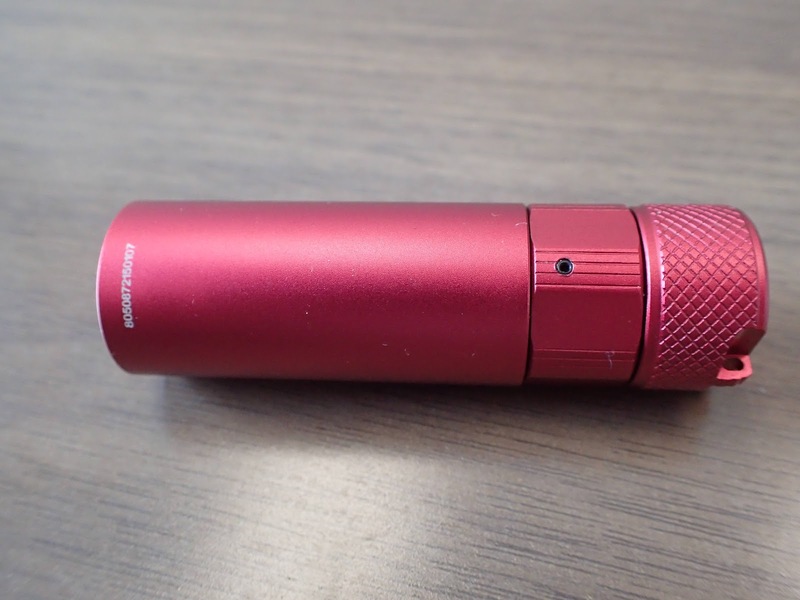 Unlike most of the competition, this could also double as a backup flashlight with the diffuser retracted. 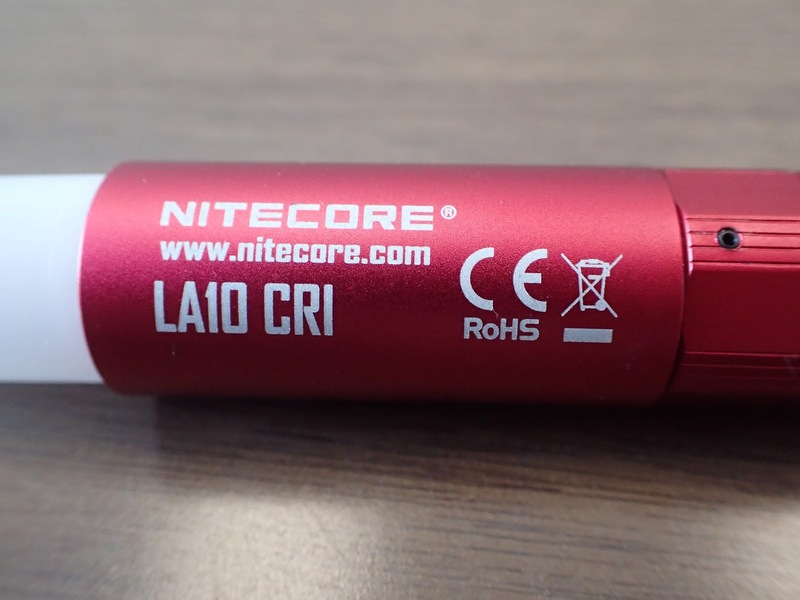 With the diffuser closed, the LA10 CRI measures 75.2 mm long and 22.6 in diameter. It's worth mentioning that this is over 3 mm shorter than Nitecore claims on their site, making it shorter than any other AA flashlight I'm aware of. Without a cell, the light weighs in at 42 grams. 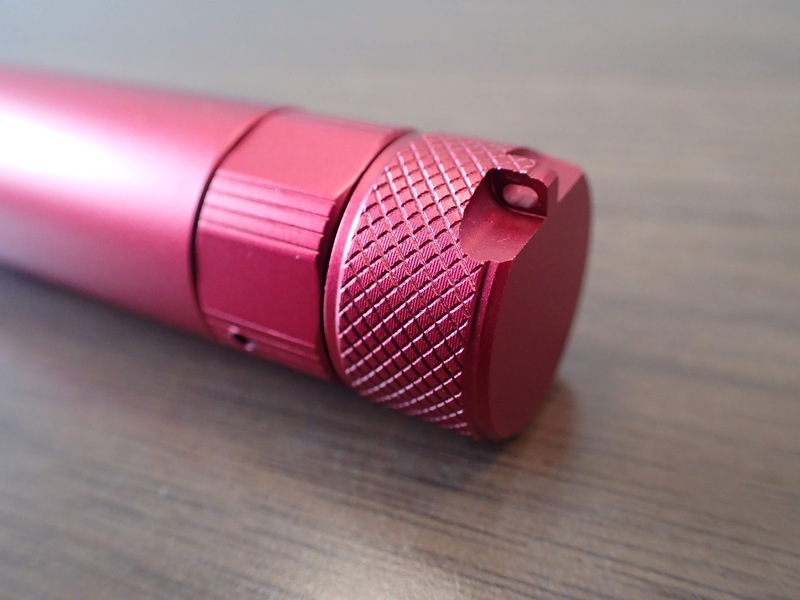 This light is made mostly of aluminum with a high quality anodized finish. The sample I have is red, but it's also available in blue and black. At the head of this light is the diffuser, which is made of molded plastic. There's a small molding mark in the center of the diffuser. When retracted completely, the top sits flush with the end of the sleeve. The body of the light is a smooth tube, engraved with the usual model, manufacturer, and regulatory marks. The tail of the light has two separate sections. The hex shaped portion rotates with respect to the sleeve to extend and retract the diffuser, and the tailcap screws onto the hex shaped portion and serves as the switch. These two sections are finished with reeding and knurling, respectively, to add grip. 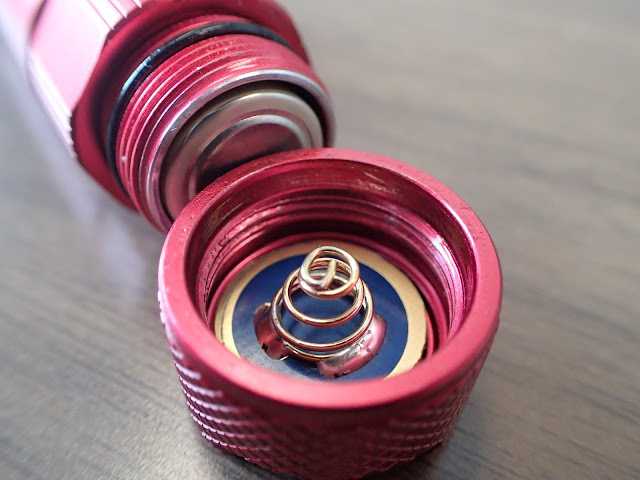 The tailcap also has a hole for lanyard attachment. The flat tailcap means tail standing is stable, which is important for a lantern. Inside the tail, there's a spring serving as the negative cell contact. The threads are anodized, as is expected for a twisty switch. 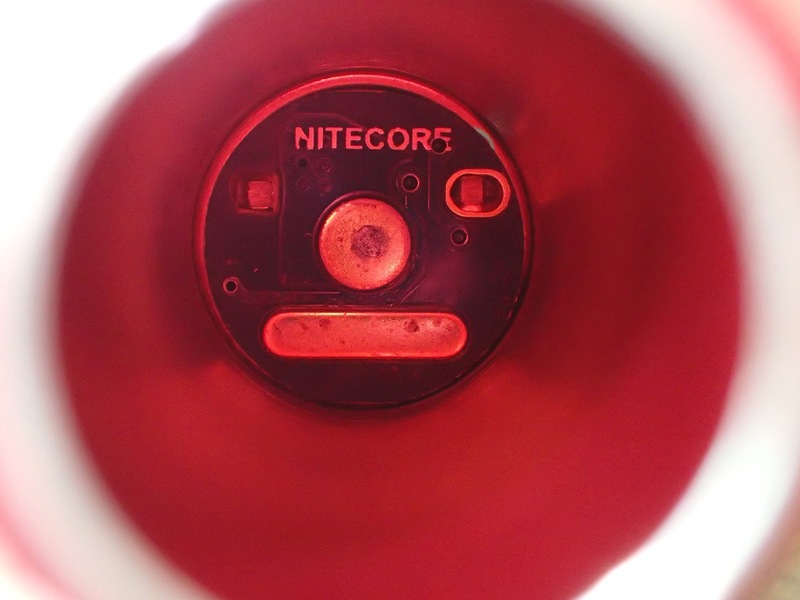 Peeking through the cell tube at the head of the light, it can be seen that the positive contact is a brass button, and there's physical reverse polarity protection. The light ships in Nitecore's standard black and yellow packaging, but with a clear section giving a view of the light. 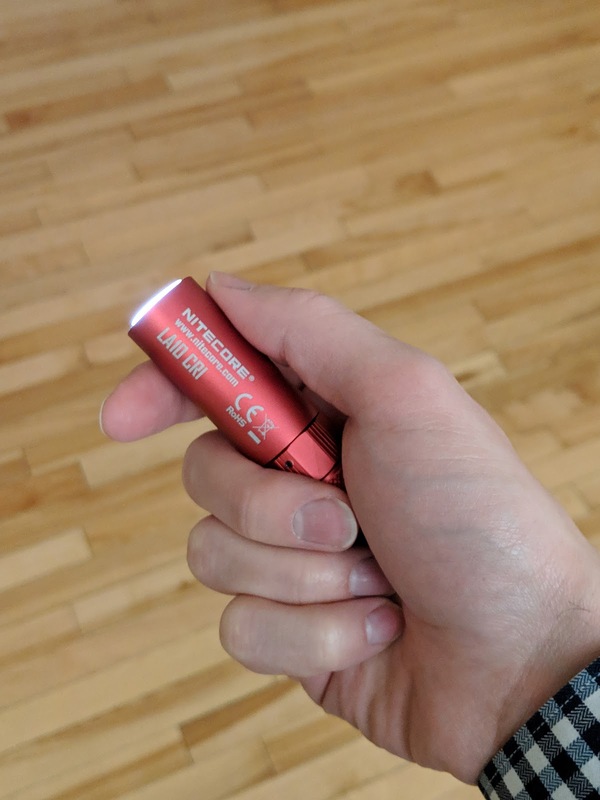 This is a small and light AA powered flashlight, so it's easy enough to carry. The short length and positioning of the switch mean that it's easiest to use a second hand whenever you need to switch the light on or off, or extend or retract the diffuser. Aside from holding in the hand, the magnet in the tail is probably the main way this light will be held. 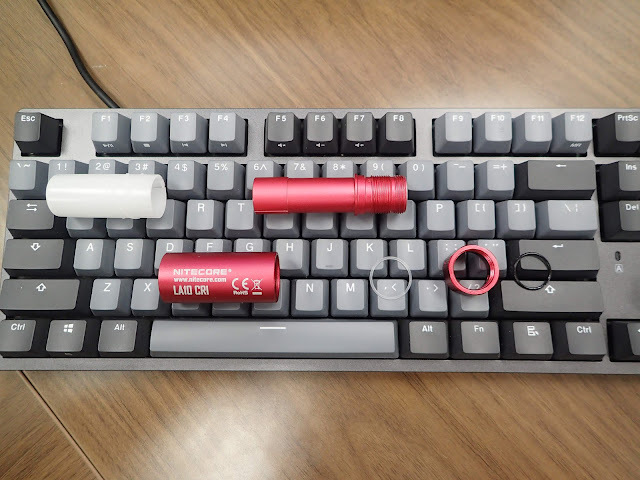 The magnet is plenty strong, and has no issues attaching the light in any orientation. The included lanyard is also great if you would rather hang the lantern, as from the top of a tent. Nitecore didn't include a clip or a place to put one, but I think it would have been a nice addition. Attached to a backpack strap, this light could be good for reading maps and watching where you put your feet. In this position it could also serve as a good locator. I see why they might have left it off - it helped keep the light small and more dedicated for lantern use. The light quality is excellent from this little lantern. The diffuser means that the output is very even, with no hotspot at all. 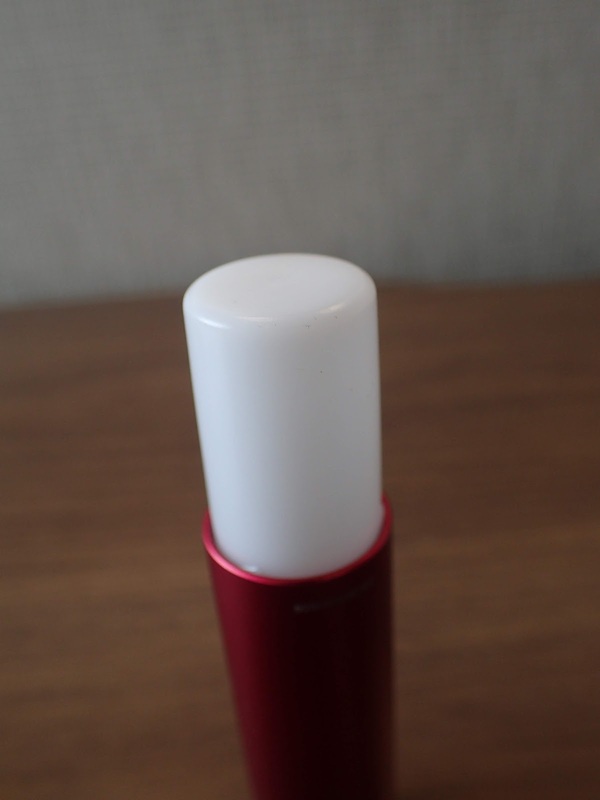 There's also minimal throw, so the light is only meant for close up use. Using the light as a lantern on a table, it's unavoidable that some light leaves the diffuser and shines directly at you, as is the case with all lanterns - but the small area and neutral tint of this light prevent it from being too jarring. 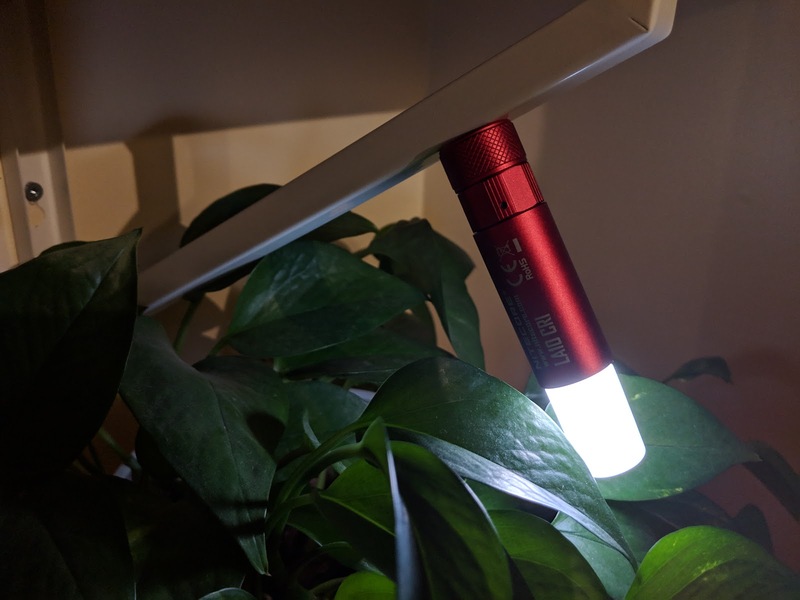 I found the beam to be very useful as an inspection light as well, holding the light just a few centimeters away from a surface while checking it over. It's also idea as a task light in small spaces like under the hood or inside a PC, where the magnet is very useful. 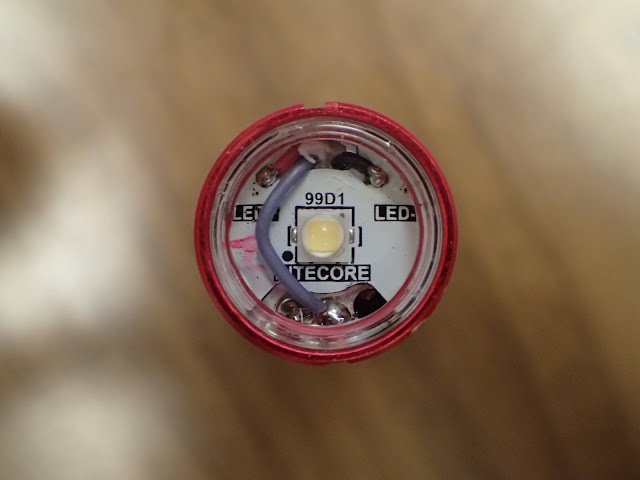 This light has three well spaced modes, and a locator beacon. From off, the light always starts in low (9 lumens claimed). Switching off and back on will step through the rest of the modes - medium (30 lumens), high (85 lumens), and the beacon mode. In beacon mode, the light briefly flashes once every few seconds. I wouldn't mind a lower mode for using this as a flashlight, but as a lantern I think the modes and spacing are great. The light runs off a single AA cell. 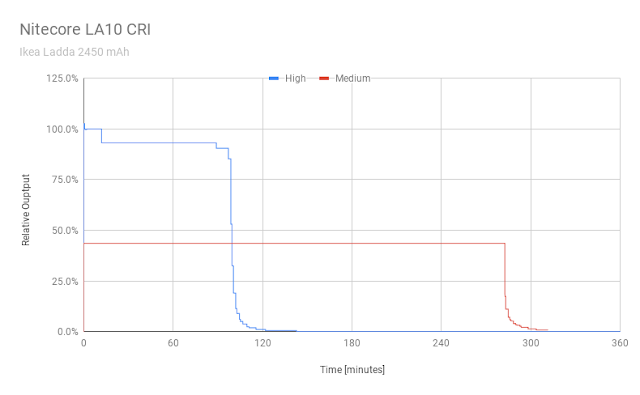 For testing, I used a NiMH cell from Ikea. On high, the output stepped down slightly, but was very stable for the most part. 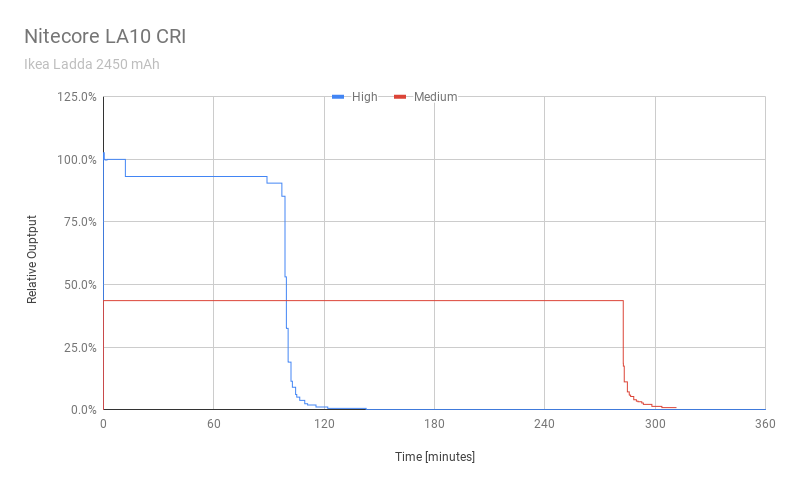 The high mode lasted well over 100 minutes, easily exceeding the stated 90 minutes of battery life. Medium mode was perfectly stable for the duration of the run, though it didn't quite meet the 5 hours of claimed run. In both modes, the light did not die completely but was left at a dim glow - for a camping or emergency light, I like that. The 219B emitters this light claims to use have been becoming harder and harder to find, and some manufacturers have been moving to the 219C without updating specs. I wanted to make sure that wasn't the case with this light, so I dove in. After the tailcap is removed, it looks like the next segment is held in place with pins, but they're actually tiny 0.9 mm set screws. 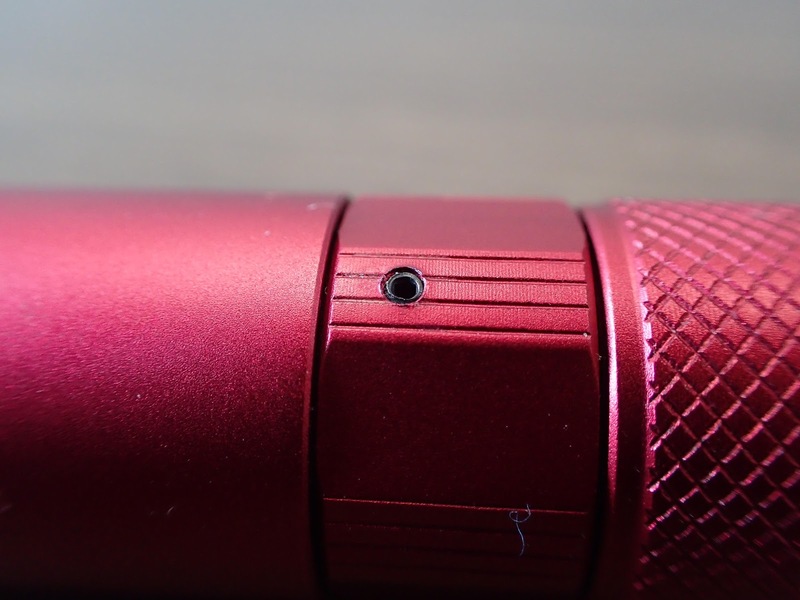 After the two screws are removed, the light comes right apart into all the individual components. 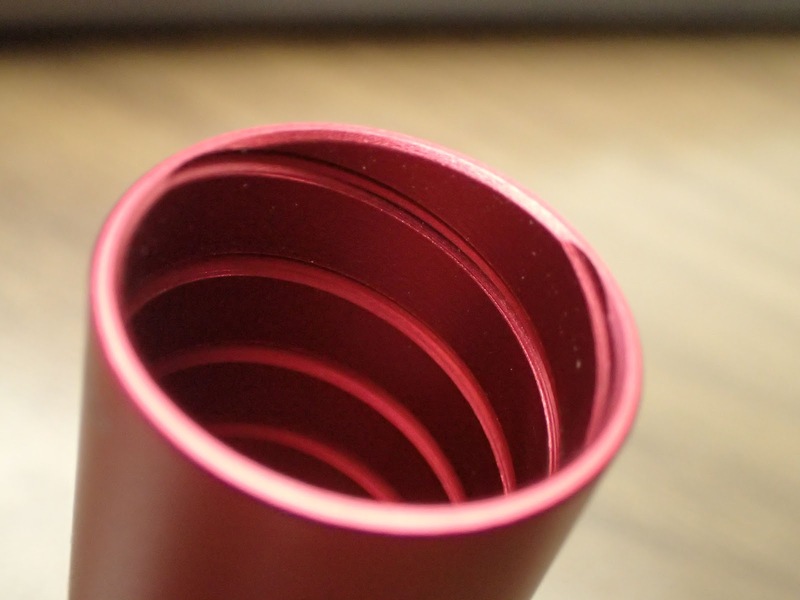 Inside the outer sleeve, we can see the threads that extend and retract the diffuser. Most importantly, we can get a peek at the MPCB and the LED. 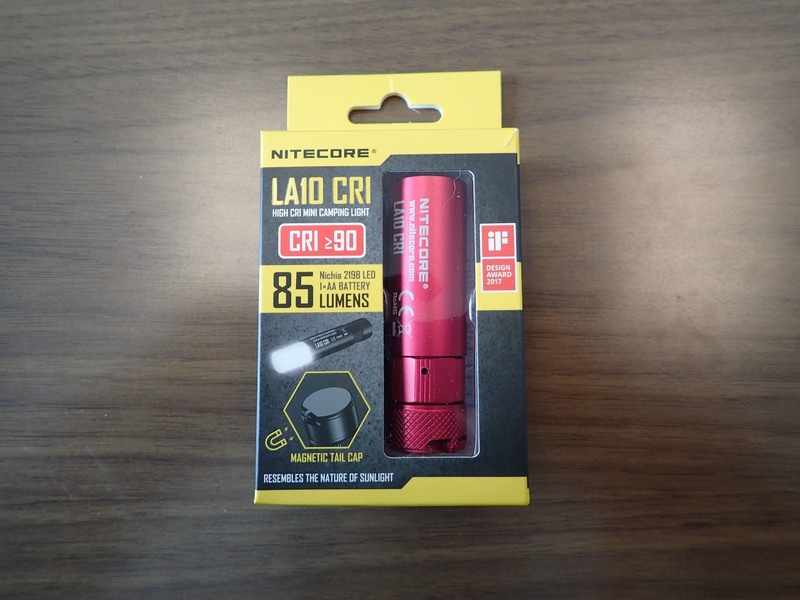 It looks like Nitecore is still, thankfully, using the 219B as claimed - that explains the gorgeous tint this lantern has. The MPCB is underneath a plastic window, presumably to help keep water off of it. It would be impossible to keep water out of the diffuser at all times, so this is a good addition. High CRI with a great tint - and it's still using the 219B as claimed!